Perhaps the biggest reason to consider remodeling to an open concept living space is the sightlines. If you’re a family with small children, they can play in one area while you cook or clean in another. Whomever is cooking dinner won’t feel cut off from conversation, so open concept may connect you better as a family. The same is true when entertaining. The cook isn’t separated from the guests and can enjoy company from the moment they arrive. Another benefit open concept brings is that spaces seem larger. If your kitchen is small and feels cramped, removing a wall may allow you to expand your kitchen into your living space. Sometimes removing a wall allows more natural light into some rooms, tricking the brain into thinking the space is larger than it really is. The formal living room may not be an often-utilized space in your home. If you have a room that isn’t being used, opening up your floor plan may be a positive change. Current trends don’t support having a room set aside, almost like a showroom just to say you have it. The majority of people today want to use all the space in the home to support their increasing family size. Open concept has its drawbacks. For example, if you do entertain a lot, your messy kitchen will always be on display. You may also find that while entertaining, the open environment is much louder than when you had several smaller rooms. 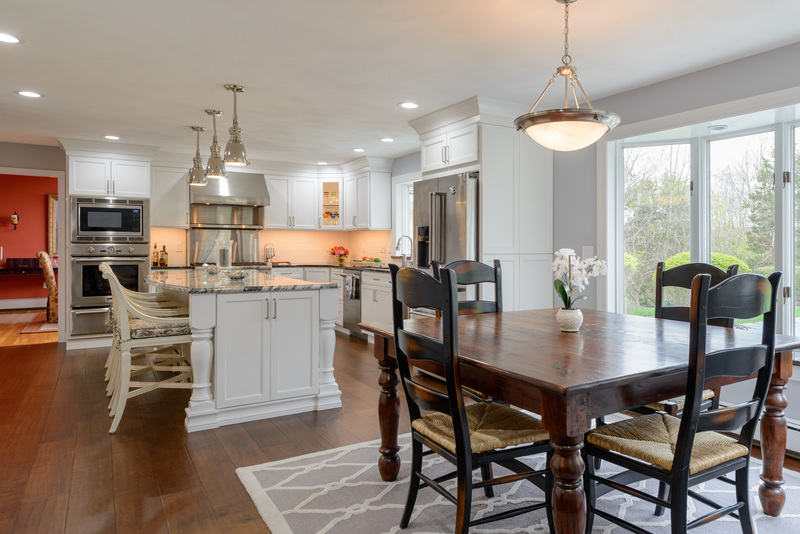 As you look at the cost for home remodeling to open concept, your estimate may contain many elements you may not expect. For example, support beams may be necessary if you’re removing a load-bearing wall. Your design-build company will evaluate the basement and foundation to determine if you need structural reinforcement below the living space. These can add significantly to the cost of a remodel. Worse still, if not researched during the design process, this could cause a major unexpected expense during construction, or even mean that the design has to be modified because a wall or post could not actually be moved. Family dynamics may not make an open concept the right choice for you. If your household includes multiple generations or children of a wide age range, it may be nice for different age groups to have a place to go and get away. A great room doesn’t provide for much privacy. A last reason that open concept might not be right for you is wall space. It may not seem like a big deal, but if you enjoy having wall space to display family photos or artwork, open concept living spaces will have fewer options because they have fewer walls. You may not have the space to display what’s important to you, or even enough wall for kitchen cabinets if one side of the wall is in the kitchen. If you’re wondering whether open concept is right for your home remodel, call G.M. Roth, your local design-build company. We offer free in-home consultations to discuss your remodeling needs. Call (603) 880-3761 to schedule your appointment today.